Yakuza 0 is all about its characters, with a compelling story that grabs you and won’t let go. Yakuza 0 positions itself as the perfect entry point for Australian, European and American audiences – and it is. It’s the first in the series on PlayStation 4, and the first chronologically, allowing a rare fresh start for a franchise spanning seven core games across three console generations. 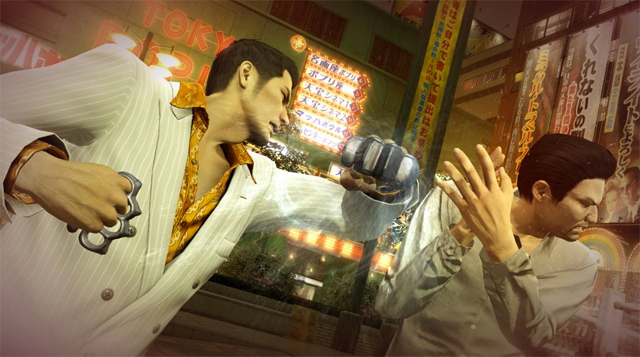 Series protagonist Kazuma Kiryu opens proceedings during his younger years in Kamurocho, based on Toyko’s red-light district Kabukichō. Set in a funkier time known as 1988, Kamurocho has been transformed into a den of ‘80s relics. Everything from fashion, to corporate logos, and gigantic bag-based “mobile” phones spawn a world from an era long ago (he uses a freaking pager). My knowledge of ‘80s Japanese businessmen and crime bosses is limited to Danny DeVito’s character in It’s Always Sunny in Philadelphia and a handful of B-grade action movies, but Yakuza 0 makes me want to inhabit that world. Goro Majima, who takes the lust for an unobtainable life even further, joins Kiryu as the second playable character. Introduced in the third chapter, Majima is the manger of the most popular cabaret club in Sotenbori, loosely based on Dōtonbori, the nightlife and entertainment district in Osaka. Sporting an era-appropriate man-ponytail and black eye patch in a suave suit, Majima projects an aura of mystery; it’s the ultimate ‘men want to be him, women want to be with him’ persona. But his empowering personality is a masquerade. Majima was expelled from the family several years earlier, and despite making the best of his civilian banishment, he’s desperate to reclaim his former status. Yakuza 0’s renditions of Kamurocho and Sotenbori are pulsating with crime and sleazy characters. The cities come a live with cheap businessmen and potential hostesses vying for each other’s affection. The distant sounds of muffled gunfire and shady affairs are pitch perfect to the scenario. Kiryu finds himself in a spot of bother, accused of murdering a man found dead at a heavily contested property. That’s not good for the family, and even worse for him. The world plays to his notorious status, with gaggles of goons and drunkards seeking his head, not to menu opposing Yakuza. Both characters have their own array of impressive brawling moves. Combat is brutal, relatively easy to pick up, and most importantly, totally badass. Early tutorials guide your way and teach how to execute combos with light and heavy attacks. It gets more interesting when you incorporate grabs and whatever you find lying around on the street as impromptu weapons. On the whole, combat holds up extremely well. Fighting earns money, which is reinvested in the various brawling disciplines of both men to unlock new abilities (and used to by booze). There’s no faffing about with several currencies and XP for items and abilities; you earn money, and that’s used for everything. It’s unapologetically a PS2-era street brawler, true to its origins. Yakuza 0 doesn’t try to modernise its gameplay for the sake of it, and that’s intrinsically its appeal. It does feel dated, yet almost timeless. 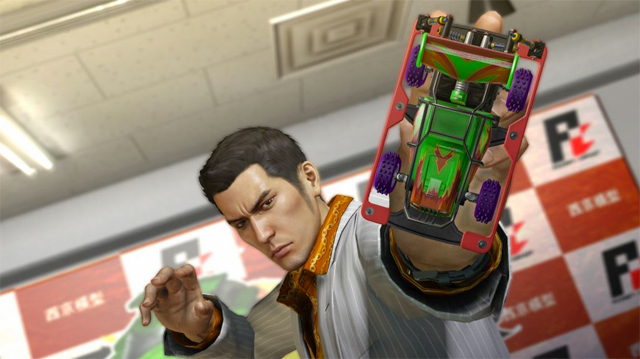 Kiryu is an eccentric, yet deeply honourable, man even in his youth. While most of his time is spent beating the life out of anyone that looks at him the wrong way, he’s privy to late night karaoke and the challenge of an arcade, presented through a variety of mini-games. Besides a mandatory, extremely Japanese, karaoke session, these are all optional, and clearly designed to break-up the monotony of combat. Majima is also inclined to indulge in a spot of leisure, but regularly on the prowl for hostesses to join his clubs, he’s more adept at business than pleasure. The main story regularly switches between Kiryu and Majima, spanning around 25 hours. Yakuza 0 is beaming with an engaging and extremely detailed narrative, which takes precedence over gameplay; without purposely detouring, most of your time is as a passive observer. It’s told through a blend of stunning cut-scenes, with English subtitles to match the fiery Japanese dialogue, and borderline still images overlaid with text, more commonly found in a Vita JRPG. I initially found the latter off-putting, as the opening hours project an onerous wall of text. As soon as the exquisite cut-scenes began to take charge and introduce the characters, as well as a more dramatic story, Yakuza 0 had me hooked. My last foray into the series was Yakuza 4 in 2011, and I don’t recall the characterisation of the supporting cast — both allies and rivals — being so strong, so alluring. Just when I thought I was out, they pull me back in. 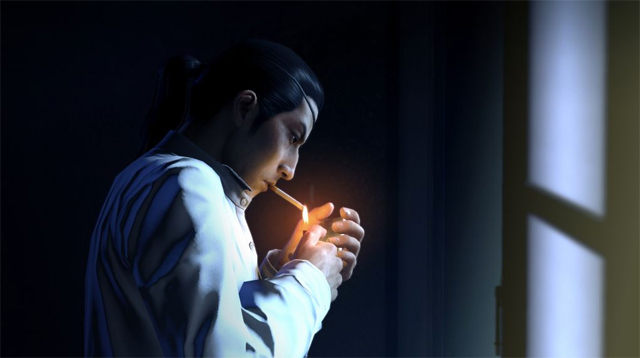 During its lengthy cinematics, Yakuza 0 looks sublime. The emotional range visible in facial expressions portrayed by everyone from enraged Yakuza lieutenants to the calm demeanour of Majima is fantastic; it’s why I kept playing, chapter after chapter, well passed my bedtime. The production value within gameplay isn’t of the same calibre. Yakuza 0 is clearly a cross-gen game in motion (it came to PS3 in Japan), and some of the animations are shoddy. The world, for all its appeal, is hard to navigate. It gives the sense of being open, but is actually extremely restrictive. It’s full of invisible walls and mundane impasses, and the navigation icon on the radar is almost useless. While the combat is initiative, it inevitably becomes repetitive, with little innovation. The structure is extremely predictable: watch a long cut-scene, read a bunch more text, go to an objective, fight some weak street toughs en-route, complete mandatory fights, watch some more cut-scenes and repeat, with the occasional fetch quest for good measure. There are a range of side quests, called sub-stories, that expand the scope, but don’t add much gameplay; actually, most of them don’t add any gameplay, outside walking around. Some are centred on more fighting, but most are entirely story-based, asking you to choose options from dialogue trees to determine an outcome. Filling in as a TV producer as Kiryu and pretending to be a girl’s very specific boyfriend to meet her father as Majima inject charming diversity, but do little to rejuvenate the gameplay. As much as I enjoyed venturing off the beaten path, eventually I determined most of these add little to the experience, so I shift focus to the core narrative. 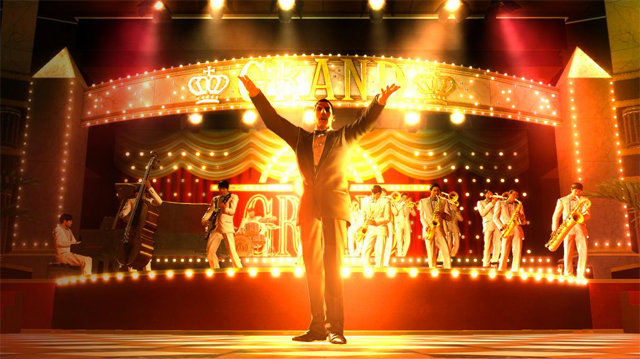 Yakuza 0 returns to the series’ origins, but it’s not an origins story. Both protagonists are well and truly entrenched in family life when we meet them, but without any baggage, it’s the perfect time for newcomers to venture into Yakuza. It’s an uncompromising old-school brawler than manages to feel both out-dated and timeless in its brutal gameplay, but that’s only part of the package. Yakuza 0 is all about its characters, with a compelling story that grabs you and won’t let go. There are plenty of optional side quests and activities, where its original status as a Japanese import is on full display, but the core storyline is all about the characters and beating up goon after goon. 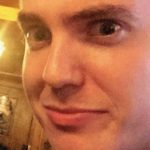 A former editor of MMGN.com, Ben now spends his days hoping Nintendo doesn't do something ridiculous with NX, and pointlessly writing modern-day Seinfeld episodes (on the back of coasters at the pub).